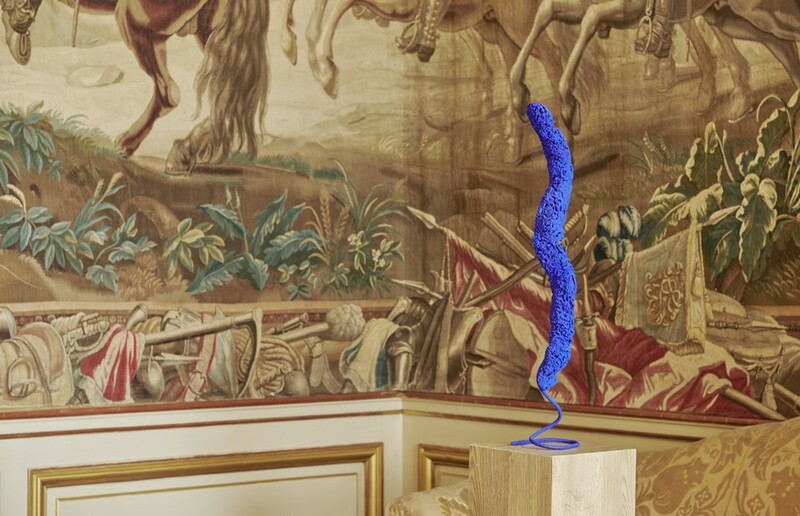 Blenheim Art Foundation is delighted to present Yves Klein at Blenheim Palace, a solo exhibition by the visionary French artist, running 18 July – 7 October 2018. 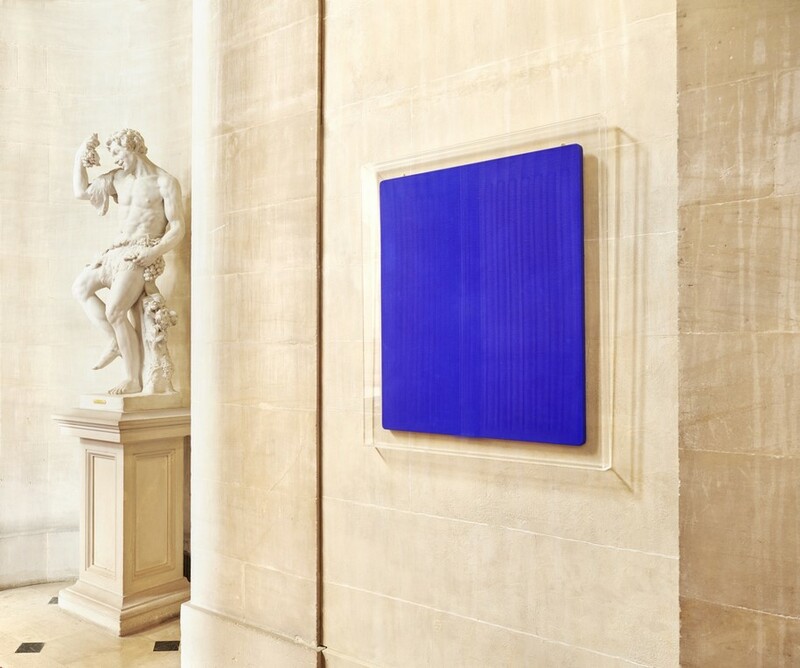 The exhibition, which is presented in collaboration with the Yves Klein Archives, coincides with what would have been the artist’s ninetieth birthday year. It will explore concepts of beauty, sensibility and the sublime, offering visitors a unique opportunity to view the artist’s seminal artworks in the historic setting of the World Heritage eighteenth-century palace. 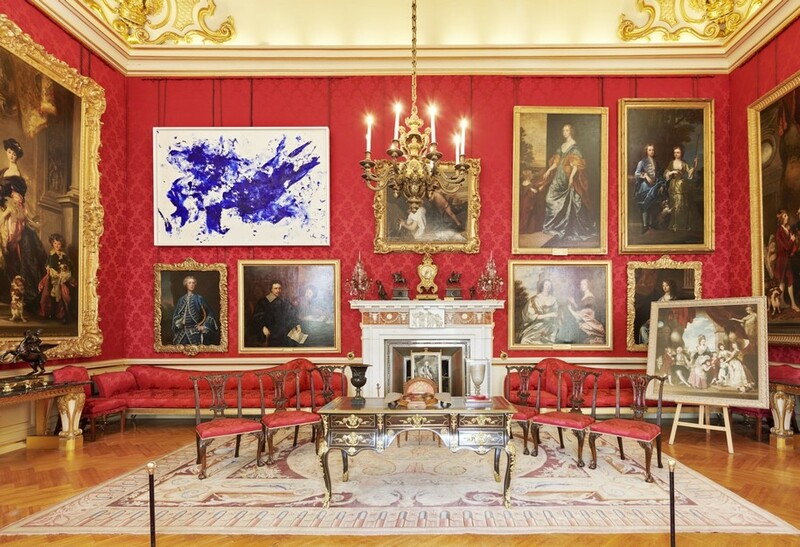 The exhibition will also mark the fifth anniversary of Blenheim Art Foundation, which was founded by Lord Edward Spencer-Churchill in 2014 to challenge, excite and inspire visitors to Blenheim Palace by providing access to the best modern and contemporary art within its historic setting. UK audiences will enjoy a rare opportunity to explore Klein’s wide-ranging practice, including painting, sculpture and large-scale installation. One of the most influential artists of his generation, his pioneering artistic experiments anticipated and inspired movements in conceptual art, minimalism and performance art. Klein is best known for the development of his own vivid ultramarine pigment, International Klein Blue (IKB), which became a symbolic part of his practice, a key to reaching the ‘infinite’ and ‘sublime’ through pure colour. Klein is best known for the development of his own vivid ultramarine pigment, International Klein Blue (IKB), which became a symbolic part of his practice, a key to reaching the ‘infinite’ and ‘sublime’ through pure colour. 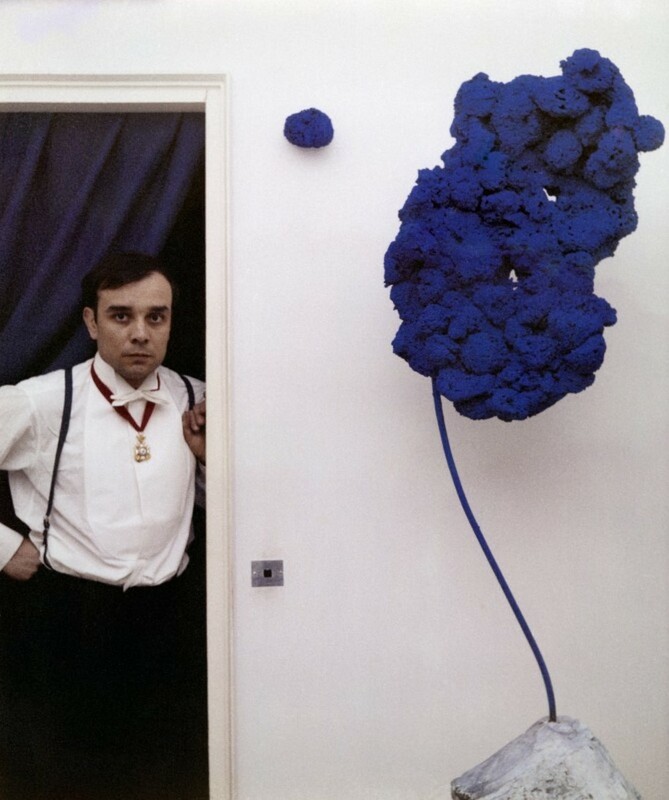 Featuring over 50 artworks, this will be the most comprehensive exhibition of Yves Klein in the UK to date. Visitors will be able to explore Klein’s wide-ranging practice, including painting, sculpture and large-scale installation. One of the most influential artists of his generation, his pioneering artistic experiments anticipated and inspired movements in conceptual art, minimalism and performance art. 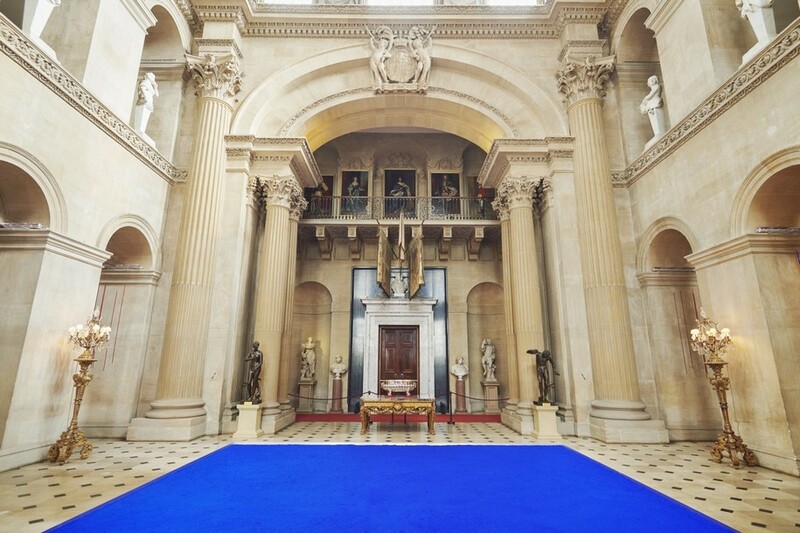 Yves Klein at Blenheim Palace will feature a number of Klein’s monochrome paintings and a large-scale blue pigment floor installation, the dazzling uninterrupted colour punctuating and transforming the visitor’s aesthetic experience of the opulent baroque surroundings of The Great Hall and principal rooms. Paintings from his provocative ‘Anthropometry’ series will also be on display, in which Klein directed models acting as ‘living brushes’ to create marks on the canvas in front of an audience. Klein blended traditional artistic mediums and imagery with dynamic techniques and performance, erasing the boundaries between the process and the artwork. 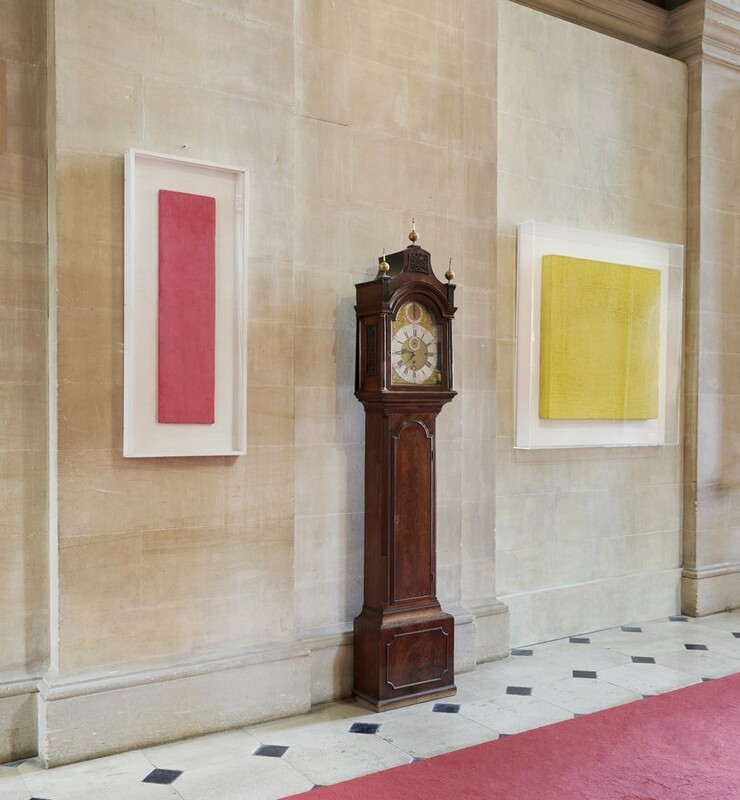 The sponges Klein painted with, saturated with pigment, will be on show as uncanny, brightly coloured sculptures alongside other works inspired by Classical Greek sculptures such as a Venus de Milo, coated in IKB. With their fifth art exhibition, Blenheim Art Foundation continues to produce bold encounters between the world’s most influential artists, the palace, and new and recurring visitors. 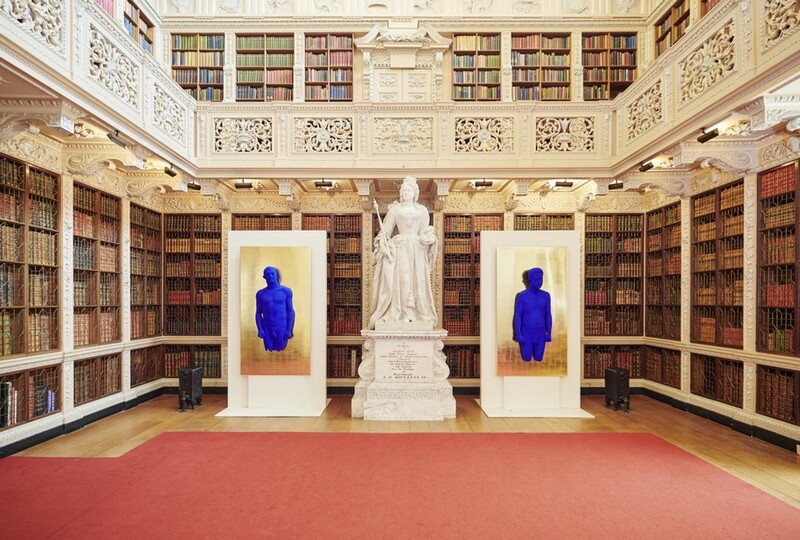 The Foundation’s award winning programme has earned a reputation for pushing boundaries by inviting artists to engage directly with palace’s Baroque interiors and particular history, as well as showcasing some of the most iconic and seismic artworks and movements in art history, from Michelangelo Pistoletto’s Arte Povera to Jenny Holzer’s testimonies of war by contemporary veterans. The sponges Klein painted with, saturated with pigment, will be on show as uncanny, brightly coloured sculptures alongside other works inspired by Classical Greek sculptures such as a Venus de Milo, coated in IKB. The Foundation’s critically acclaimed exhibitions have attracted hundreds of thousands of visitors to the Palace, including reaching a much younger demographic than ever before. Previous exhibitions include Jenny Holzer (2017), Michelangelo Pistoletto (2016), Lawrence Weiner (2015) and Ai Weiwei (2014).